Already familiar to SEA ? Already familiar with Search Marketing and SEA? Already familiar with Search Marketing and SEA? In that case, Atomic Search offers you ‘expert’ support and advice. We already speak the same technical language, which is more than great. From now on, we will help your business perform better and become more profitable by using top advertising solutions, including Google AdWords and Bing Ads. Our flexible year-round offer is adapted to fit around you and your changing needs, no matter what. In addition, Atomic Search cherry-picks its teams according to the project at hand. We remain by your side throughout, so as to give your marketing teams access to information that will help them improve the way things are handled internally and your company’s overall performance. Already invested in online advertising but hoping to boost your advertising campaigns’ return on investment? Atomic Search’s bespoke services are tailored to meet your needs and expectations. What’s more, we provide complete transparency in regards to the nature of investments we make on your behalf, and the results achieved. Our business solutions are adapted to suit both thriving companies and individual market leaders. Your budget and the size of your company do not matter: Together, we will strive to build a business model in synch with your company’s DNA and financial objectives. Trust Atomic Search and become a pioneer! We believe that investing in the continuous training of our consultants and in the latest advertising technologies truly is the best and only way forward. Knowledge, skills and experience that we would like to share with you. 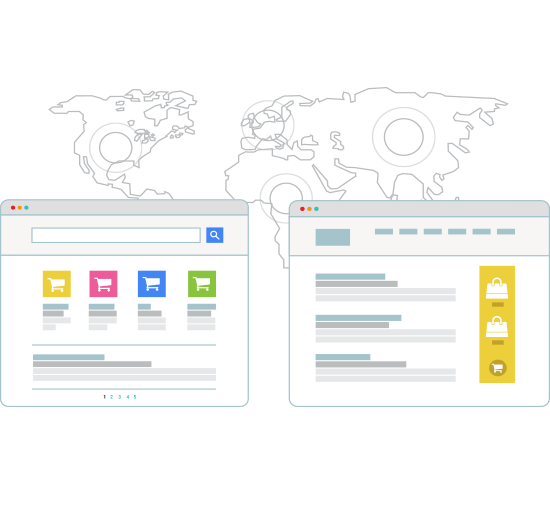 Atomic Search offers a year-round follow-up service, and will remain at your disposal to help you manage your advertising campaigns and allocate extra staff (if deemed necessary). Thanks to our unlimited access to training programs, exclusive events, market and competitor studies, and beta features (allowing us to test new advertising products, programs or ideas), we have developed a close working relationship with key online influencers. Our highly-skilled consultants are at the disposal of your own teams, so as to help them get a better grasp of your current business model and work more efficiently. Atomic Search aims to harmonize and reconcile the easiness of internal solutions together with the flexibility and expertise of external solutions. Atomic Search promises 100 percent transparency regarding its management of your advertising investments. You will have access to the exact same information concerning advertising rules and regulations used as our own consultants. You will also have access to our exclusive training programs, to help sharpen and perfect your own teams’ skills when it comes to using new and ground-breaking advertising features.